"I have just completed 30 sessions for post traumatic syndrome having had a traumatic event within my family. Before my Neurofeedback training I was exhausted, very emotional and foggy in my thoughts. I am now feeling so much stronger within myself and able to cope with the ups and downs of life with a much clearer mind. Jackie is so supportive and full of knowledge and wisdom. however if you just don’t want to talk anymore it is lovely to know that the Neurofeedback training is supporting you within itself. I can highly recommend BrainHarmonics and intend to do further training"
"I has been doing this treatment for 10 sessions and I can already feel the difference. I was so stressed out and anxious when I started and now I'm feeling more relaxed and capable to think better and achive much more. Jackie is a great person to talk to! Thank you!" "Last August I was hit by a bus and received a head injury. Jackie and neurofeedback were recommended to me. My first reaction was ‘no way, this sort of thing won’t help me, just a waste of my time and money’ My family persuaded me to give it a go. 60 sessions later and I am so grateful. My brain function and thought process have progressively developed resulting in a very noticeable increase in cognitive sharpness and enhanced memory. My outlook on life is calmer and more positive. The whole process has given me increased insight allowing life to return to normal. Additionally, Jackie and Walter offer tremendous psychological support. I highly recommend Brainharmonics and will continue with them in to the future." "My husband Damon had a mountain biking accident in November 2017. It caused a brain bleed and severe bruising to the brain, resulting in Post Traumatic Amnesia. During his stay at a rehabilitation unit, The Laura Fergusson Trust, one of the other patients wives told me about Neurofeedback Therapy in Christchurch with Jackie Cloete at BrainHarmonics. This information came highly recommended. However, at the time, my husband was busy learning to breathe, eat, walk and talk and function with as much independence as possible, so I made a note of the information for future reference. Damon made good progress and on our return to our home town we focussed intensively on his recovery, using both mainstream and alternative therapies. By mid 2018, outwardly at least, Damon appeared "well", however he was told by the ophthalmologist that although there was no physical problem with his optical nerve, he had a blind spot, due to his brain injury and would never be allowed to drive again. This was devastating news for Damon as he had always been an avid car enthusiast, having built two Baby Austin 7 special cars and many of his hobbies involved the independence of driving. He was also very respected in the geocaching world. Regaining driving independence was the motivation that made him work so hard on recovery. He was also suffering from fatigue as although he would sleep for 10 or 11 hours, he would wake feeling stiff, achy, and exhausted, the reason being he was unable to get into either deep or REM sleep which are both vital for releasing toxins from the brain in order to heal and recover. This condition was no doubt compounded by the fact that Damon had done shift work for over 30 years and his sleep patterns were in a bad state even before the accident. We knew this because of the readings on his Fitbit watch. Damon had also lost his filters and was prone to nervousness, anxiety and a huge lack of confidence. He would spend a lot of energy putting on a brave face for others and getting frustrated that they didn't understand how much he was suffering. We tried Biofeedback and Neurofeedback with a therapist in our local town but were disappointed with the results as the therapist was more involved with other work and not fully committed to Neurofeedback Therapy. 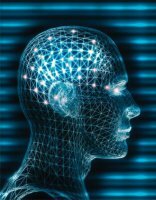 In contrast, Jackie Cloete, at BrainHarmonics, is a highly qualified Neurofeedback therapist with all the up-to-date technology. Our disappointment, frustration, and extensive research, including recommendations from others, led to Jackie and her son Walter. Damon underwent 40 sessions of Neurofeedback. We found Jackie and Walter to be excellent with effective, professional, informative and supportive treatment. They encouraged and reassured us and went the extra mile to get the best possible results. By the end of the 20th session, halfway through his course, Damon and I were amazed and delighted to find that his brain filters had recovered enough for him to cope easily with a visit to a busy shopping mall without it overwhelming him with sensory overload. He felt "Normal" . . . such a Wow moment for us. A month after the therapy finished Damon was examined again by the ophthalmologist and told that he no longer had a blind spot and was allowed to drive again! Within 2 months of finishing the therapy, Damon began to get into both deep and REM sleep and is improving day by day. Jackie had explained that even after the therapy sessions had finished, Damon's neuropathways would continue to progress. We both feel that Jackie's method of Neurofeedback has given us a better quality of life than we could have ever achieved without it. I also had the therapy as I have a type of dyslexia (Irlen or scotopic sensitivity ) which I wanted to improve and Damon's accident had been stressful for both of us, especially as it had followed closely on from a traumatic family bereavement which had left me vulnerable to burnout. I believe this therapy has prevented me from falling into depression. I am calmer, more positive and resilient and feel I am gradually improving. We see the Neurofeedback therapy as an investment in a healthier, happier future and both highly recommend it." After living with severe depression and anxiety for 22 years from 19 to 42 years old, Jackie and Walt saved my life with Neurofeedback. Year after year I suffered through the darkest lows and the scary reality that this was going to be my life forever. I lived every day in a blank fog unable to feel anything. All my memories and connection to life was becoming a distant memory. I was quickly declining and it was becoming obvious that I couldn’t keep going on like this. I had tried all forms of medication, herbal remedies, hormone treatment, hypnosis, acupuncture, chiropractic, osteopathic, blood testing, light therapy, but nothing would make this blankness go away. I visited countless doctors and specialists who all pushed medication at me but no one could actually tell me what is causing this depression and detachment, or what was the actual science behind it, and why it keeps going on day after day and year after year. I couldn’t sleep, I couldn’t focus, and it cost me jobs, friendships, and relationships. By absolute chance I walked past Jackie’s house one weekend when I was visiting Christchurch, and saw the BrainHarmonics sign and at that moment my life finally changed forever. I called Jackie and spoke about Neurofeedback and continued to do my homework and was certain this was something that could help. I was extremely vulnerable as I had nowhere else to turn. I had reached the end of the road and this was the last resort. When I met with Jackie it felt like she was the only person I’d ever spoken to who had the knowledge and intellect to understand what was happening inside my brain. The results of my initial assessment were very scary and confronting to see just what a mess my brain was. I had no option but to have total faith in Jackie and Neurofeedback and it was the best decision of my life and worth every cent, and I’d do it again. After one session I felt a genuine shift. There was still a lot of work to do but for the first time in my adult life I had hope. After completing 70 sessions I now have my life back, I can feel again and have sunlight in my mind. I sometimes have to stop and think about what that old life used to feel like. I can’t believe that the answer was there all along but the medical profession had no clue of Neurofeedback and weren’t able or willing to tell me about it. Neurofeedback is very real and pure science and allows us all to look inside our brains and see how it works and where the problems originate from. Neurofeedback is nothing to be scared of or skeptical of. It’s non-invasive and free of pharmaceuticals. I would encourage people to only take advice about Neurofeedback from those who have experienced it first hand from wearing the cap, or have been trained in it. Jackie and Walt are both very special people with beautiful souls who care about people. I handed my entire life over to them and they delivered. I now have my life back. I have given Jackie permission to share my patient profile with anyone who wants to view the results from my original assessment through to my final session to compare the results. I encourage anyone to call me or email me in the strictest of confidence to speak further about Neurofeedback, so I can share my experience.